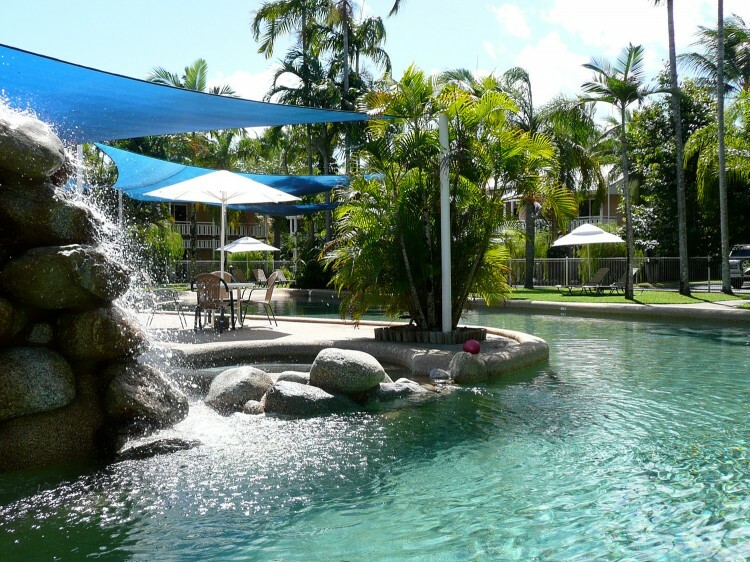 Nimrod Resort Apartments, located at Four Mile Beach in Port Douglas offers spacious and comfortable self-contained apartments within 5 acres of lush tropical gardens, many different varieties of bird life. 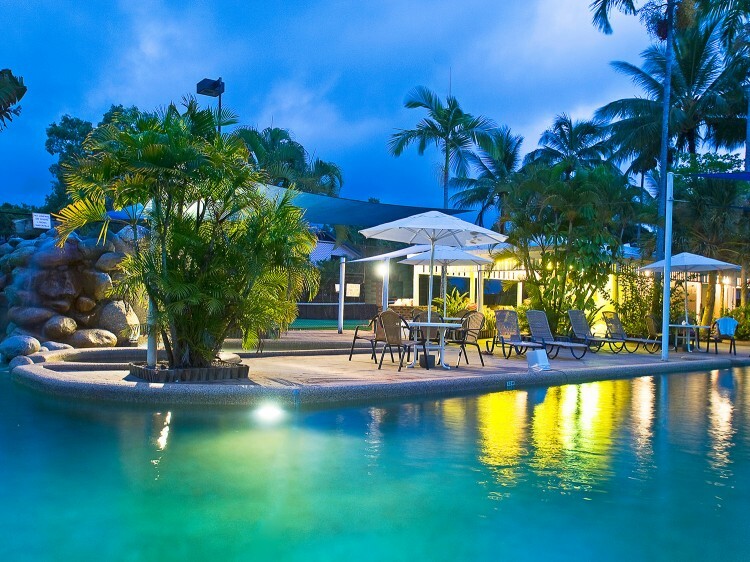 A peaceful and private retreat featuring a lagoon style pool surrounded by palm trees. Relax around the tropical gardens, complete with waterfall and spa. 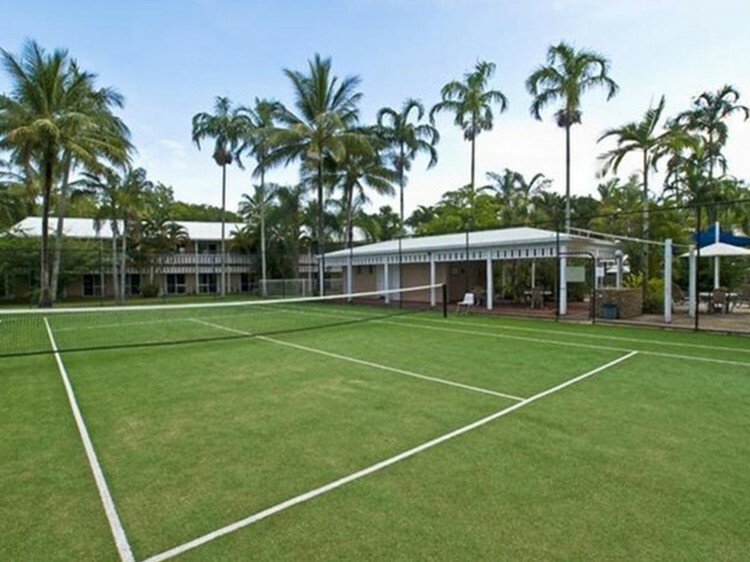 Nimrod Resort Apartments offers an ideal base to explore the village of Port Douglas Australia. Shops, marina, restaurants and the Sunday market yours to enjoy. 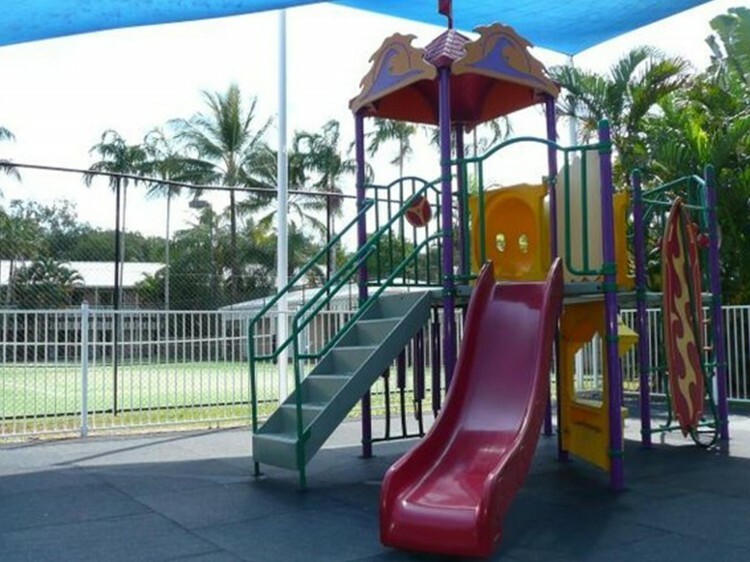 The resort is located close to Sea Temple golf course, the Great Barrier Reef and the World Heritage listed Daintree Rainforest. One hour from Cairns or the Tablelands. So come and stay in this tropical paradise creating memories for a lifetime with your visit to Port Douglas and all that this region has to offer a visitor.